MED-Fibers' medical fibers are manufactured to provide optimum performance and are 100% quality inspected before leaving production. Our dedicated team of developers are consistently striving to produce cutting edge, innovative medical laser fibers so you and your clients can exceed in your chosen field. Our medical laser fiber devices are GUARANTEED compatible for safe and effective use with all FDA approved lasers systems on the market (excluding those with RFID connectors). 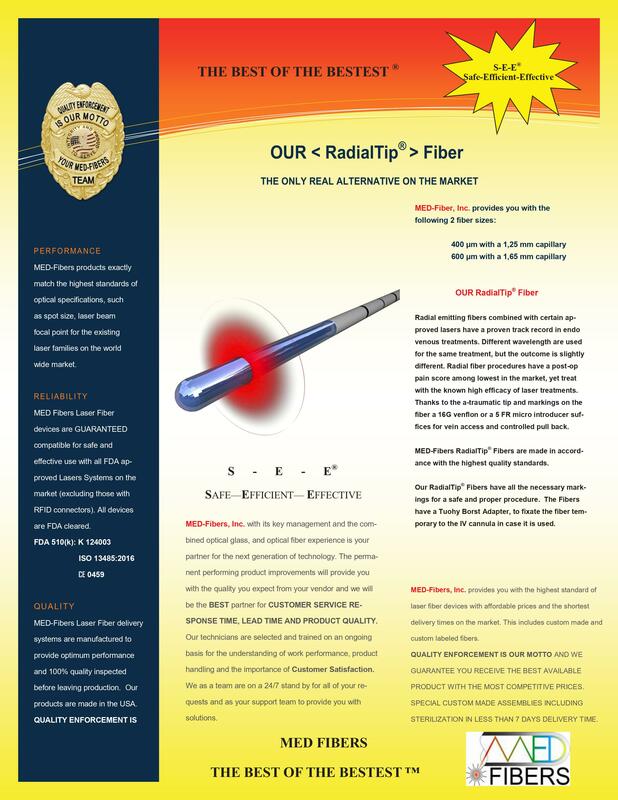 We are always available to discuss your medical laser fiber special requests and to provide you with the solutions you need when you need them. All devices are FDA cleared. FDA 510(k): No. K124003. We also have ISO 13485 and CE marking. 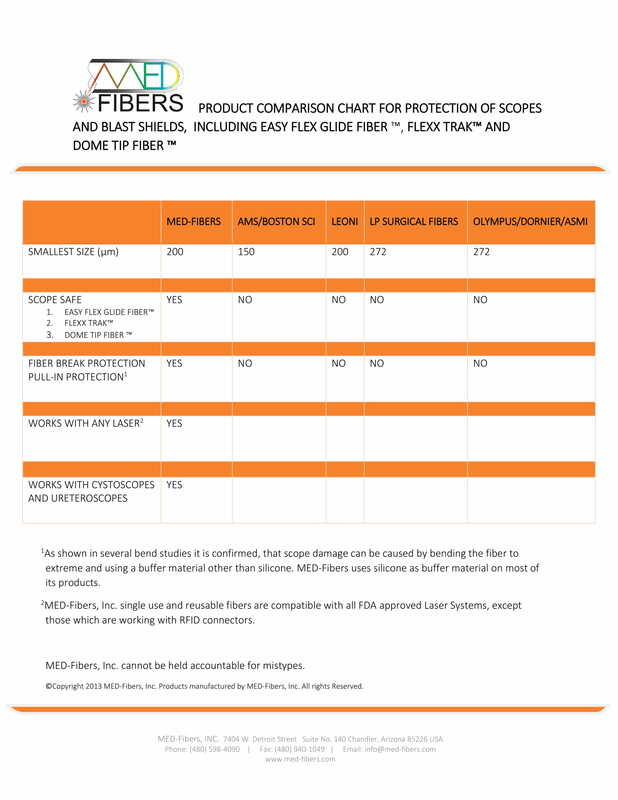 When you buy medical fibers from MED-Fibers you’ll save on cost while increasing the quality of your laser fibers. Fill out the order medical laser fibers form, tell us what type of lasers you have, and the procedures you're performing, and we’ll send you a quote, it's that simple.